VIEW YOUR ACCOUNT To View your account, please follow the link. ACTIVATE YOUR CARD In order to activate your BennyCard, please follow the link. Most people can keep the insurance for up to 18 months. Some people may be able keep it a few months longer. 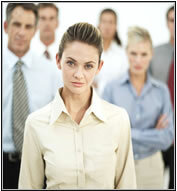 COBRA applies to nearly all employers with 20 or more employees. A few states require even smaller employers to offer COBRA. See the Section To learn more section to find the National Association of Insurance Commissioners, where you can get contact information for your state insurance commissioners office. Before COBRA, when employees left their companies, they and any covered family members lost their health insurance right away. If the employee or a family member were ill, they were often not able to get new health insurance because they were already sick. COBRA allows an employee to buy health insurance through the employer even though the person no longer works there or no longer works full time. You have your hands full with meeting your active employees' needs. Why spend precious time fielding COBRA service complaints or taking unnecessary legal risks with in-house administration? Contact us today for information on how APA Benefits, Inc. can handle your COBRA needs. Copyright 2008 APA Benefits, Inc.